This is to refute the false information being peddled by a section of the media that former Minister of Aviation, Chief Femi Fani-Kayode, who has remained illegally detained by the Economic and Financial Crimes Commission (EFCC) since May 9, 2016, has not met his bail conditions as set by EFCC. 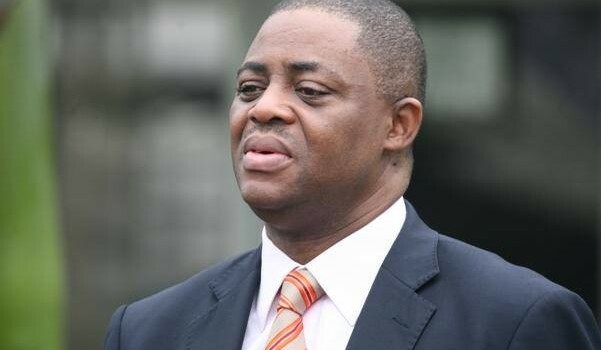 Chief Fani-Kayode has since fulfilled the conditions for his bail but rather than take the honourable path of releasing him pending any charge brought against him, the anti-graft agency moved him from Abuja to Lagos where they obtained a questionable warrant to further detain him illegally for another three weeks. This is all in a bid to forcefully extract statements from him that would implicate his principal, former President Goodluck Ebele Jonathan and other PDP leaders including serving governors whom he served as Director of Media and Publicity of the PDP Campaign Organisation. It is obvious that the EFCC have other opposition leaders whom they have referred to as “big fish” in their radar and see Fani-Kayode as the only avenue through which they can “nail” such leaders, hence, the anti-graft agency’s puerile attempt to keep him in their custody beyond the legally required length of time in order to break him, his family, and force him to implicate innocent people just to achieve a more sinister motive of further silencing the opposition. It is even more worrisome that the activities of the anti-graft agency has reached an all-time low as they are insisting that the former Minister of Culture and Tourism should name publishers, editors, journalists and bloggers he allegedly gave money to during the election campaigns. What has journalists who covered the PDP campaign as much as that of APC got to do with this? This is the height of it all! The further insistence by EFCC that Chief Fani-Kayode should deposit a sum of $1m before he could be let go shows how desperate the agency is to keep him in their custody and deny him his fundamental rights as guaranteed under Sections 33,34,35,37 and 41 of the Constitution of the Federal Republic of Nigeria 1999 (As Amended) and Articles 4, 5, 6 and 12 of the African Charter on Human and Peoples’ Rights (Ratification and Enforcement) Act Cap 10 Laws of the Federation of Nigeria 1990. This further confirms our position that even though he has met his bail conditions, the EFCC have no intention of letting him enjoy his bail nor do they have any intention of playing by the rules. While we have copiously acknowledged in the past and still do that EFCC have a constitutional and mandatory duty to carry out their statutory function as empowered by our laws, it is also our sincerest belief that these functions can be carried out within the ambit of the law and without being tainted with vendetta, vindictiveness and politics. These are what discredit the agency and cast doubts in the minds of Nigerians about the sincerity of the fight against corruption. In other climes where the fight against corruption has been largely successful, suspects are thoroughly investigated discretely, arrested after investigation has been concluded, charged to court and punished if found guilty by a court of competent jurisdiction. But here, we declare our targets guilty in the media, arrest them before commencing investigation and use the courts to obtain contentious orders to keep the suspects in custody indefinitely in lieu of a court-imposed post-prosecution sanction.